By: S. Augustus Mitchell / Thomas Cowperthwait & Co. 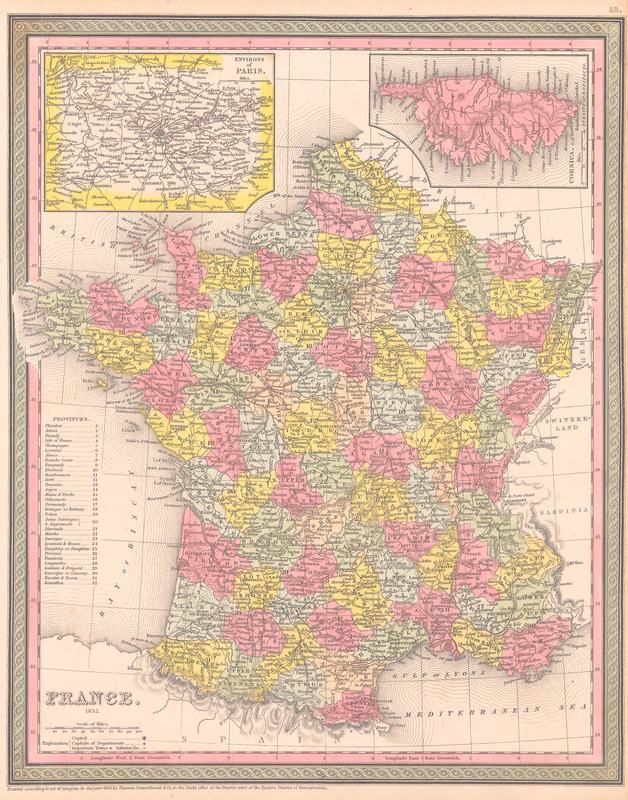 This is an American made map of France, published in Philadelphia for the New Universal Atlas of the World of 1852. This is a nice map with an insert of the Environs of Paris and Corsica. It is surrounded by a pink and green decorative border distinctive of the Mitchell Atlases of the 1850s. The map is colored by region and shows towns, roads, canals, and various geographical features.